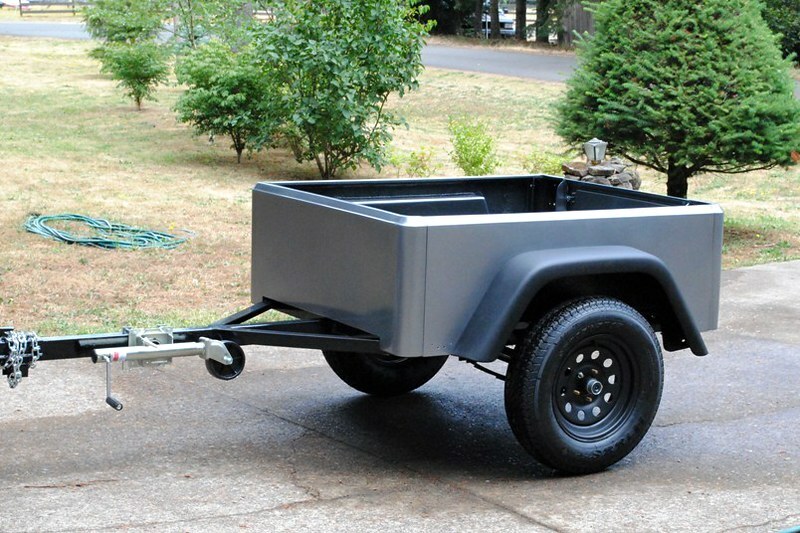 Starting this thread as a place to collect How-to build Dinoot J-Series Jeep Trailer examples, information and photos. 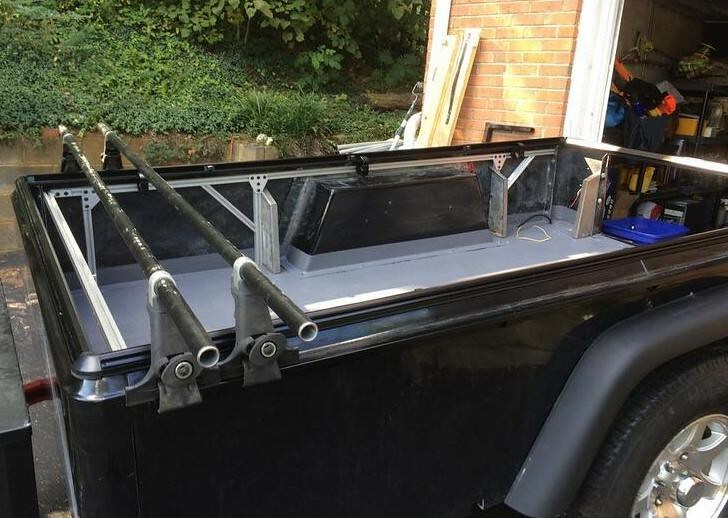 Previously building a matching Jeep Trailer required cutting and welding old Jeep bodies together, then doing days of body work. I like to think the J-Series tub kits are a game changer, setting a new standard. 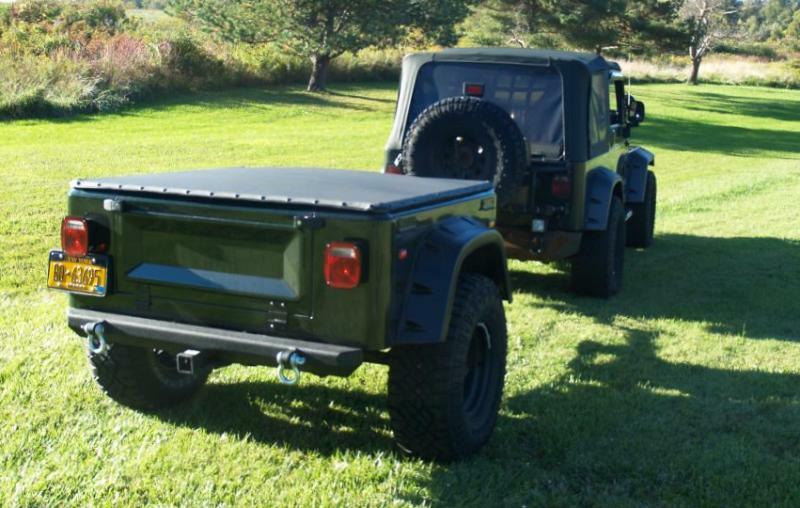 Now anyone with basic DIY skills can build their own matching Jeep trailer. 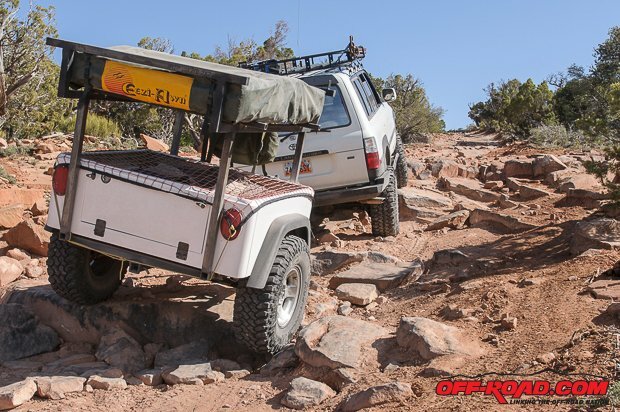 - Sean Michael has written a couple of great articles about building and using his Compact Dinoot for Off-Road.com. 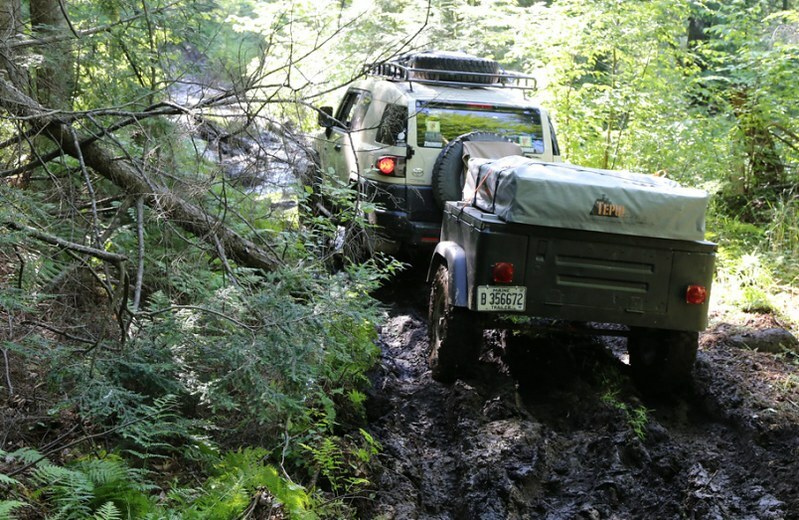 The first review Dinoot Off-Road Trailer Review focused on overall information and impressions. 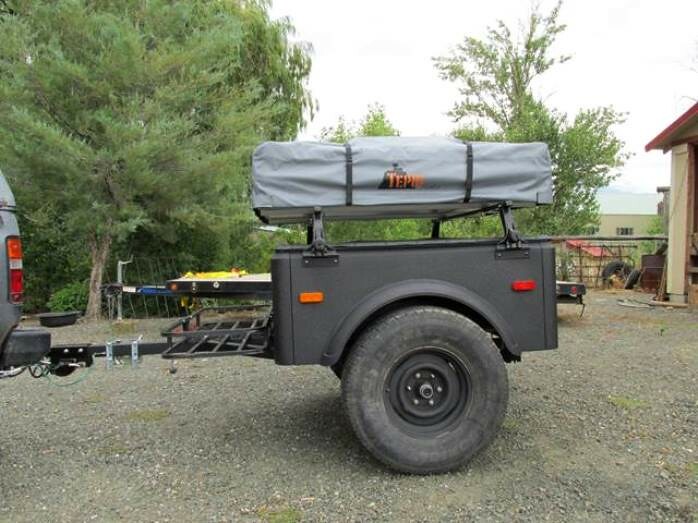 The second review Dinoot Trailer: Building a DIY Off-Road Explorer is focused on details of his design / build process, a cost breakdown and impressions / refinements he has made after using it for a year. 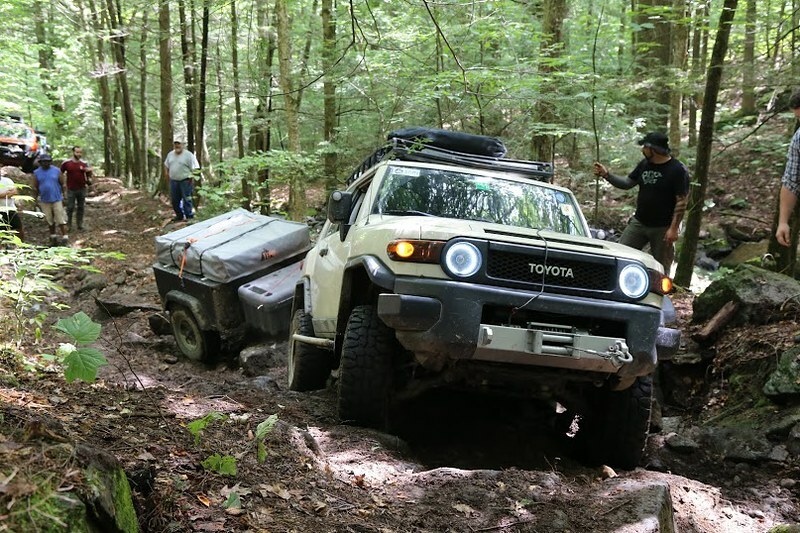 - Andy Lilienthal has written a second article for 4X4 Tech Magazine about his custom sized Screaming Yellow Dinoot Trailer. 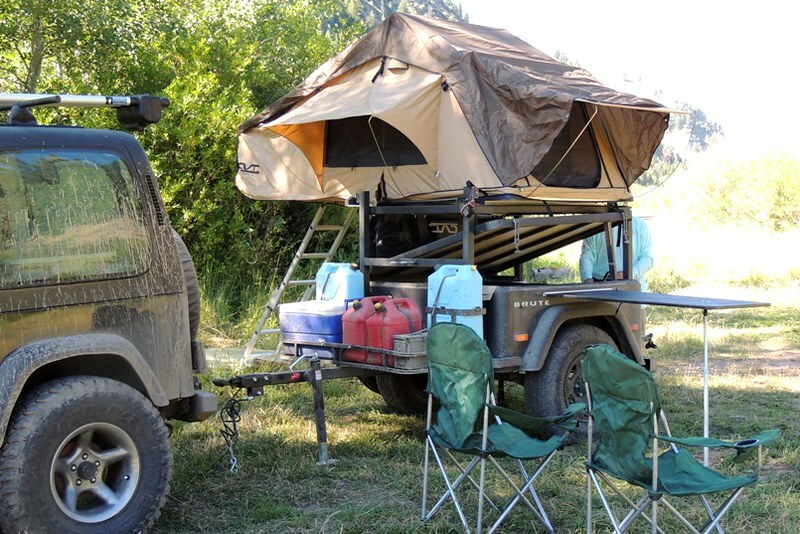 - Myron built his Compact J-Series in 2015 and just wrote a great article Building a Dinoot Trailer for Living Overland. - Another Dinoot build by JaysOn is a well outfitted, color coordinate Compact with frame tied over tub rack. - Fine Tuning of JaysOn's after using it for a while in preparation for a month long trip to Baja with it. - Custom Sized Demo Dinoot is a 5' long x 51" wide Compact for behind my Tracker. 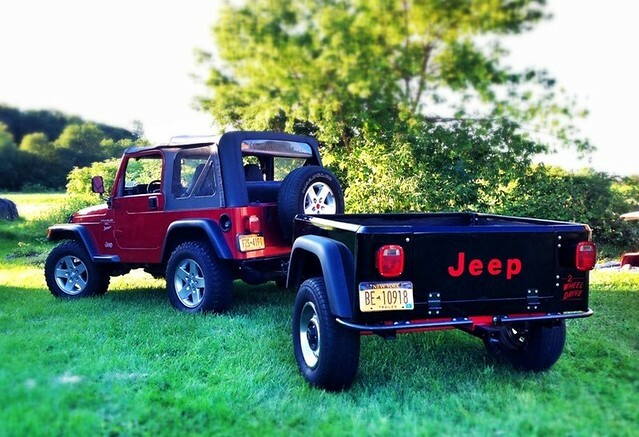 - Extended J-Seriesis ExitLeft's Extended Jeep Trailer with a great license plate, DINOOT. - Flying Pig Expeditions Dinoot is the original Compact prototype which Milkman on owns and has made some updates. - Michael G’s Extended Dinoot Trailer is one I assembled for a customer. - Berniebikes’s Please Mr. Postman is an Extended. - Madeoflite’s Dozer Dinoot Extended is color coordinated build. This is Douglas's Extended from Florida. 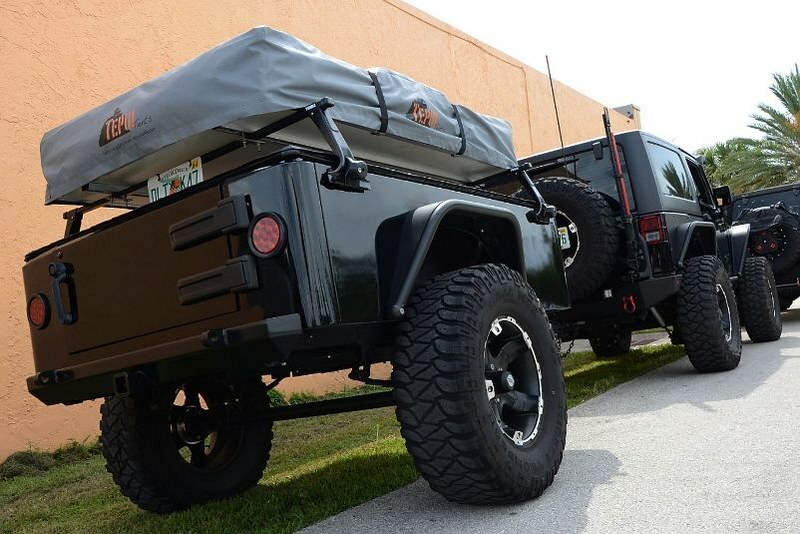 Notice the smooth fiberglass tailgate is setup to side swing with JK tailgate hardware. It rides on a HF frame with 35" tires, a 3.5K axle and our smooth riding spring kit. It also has matching Metal Cloak flares. 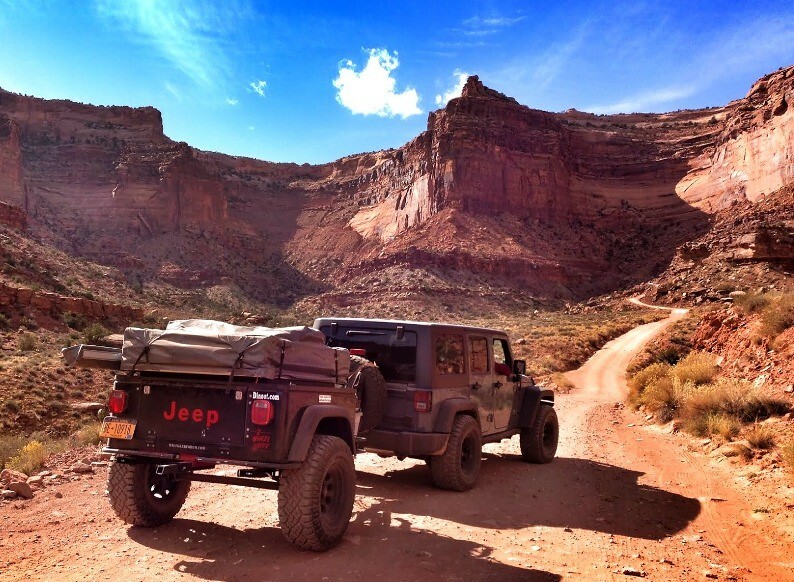 This is Myron's Compact from Utah. His project started with one of our welded frames. He has added numerous additions to it and planning more. 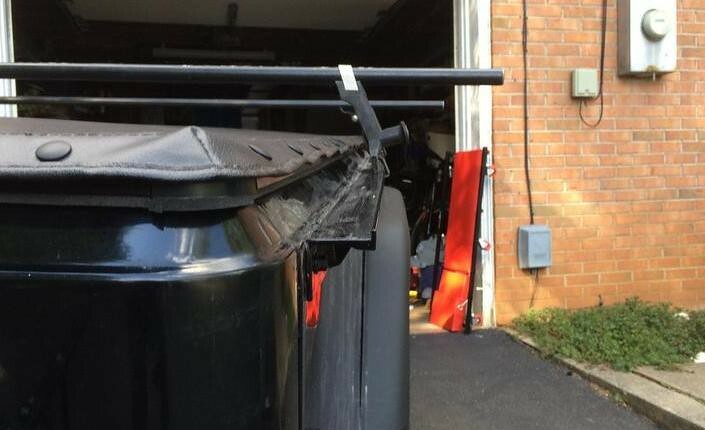 For now it has a plywood hardcover, rear bumper, over the tub rack, front rack, spare tire and water jug holders and an over the inner fenders tray. One way to paint a Dinoot is rattle canning it. I recently did a quick rattle can paint job on a Compact J-Series. Two coats took 7 cans of paint. 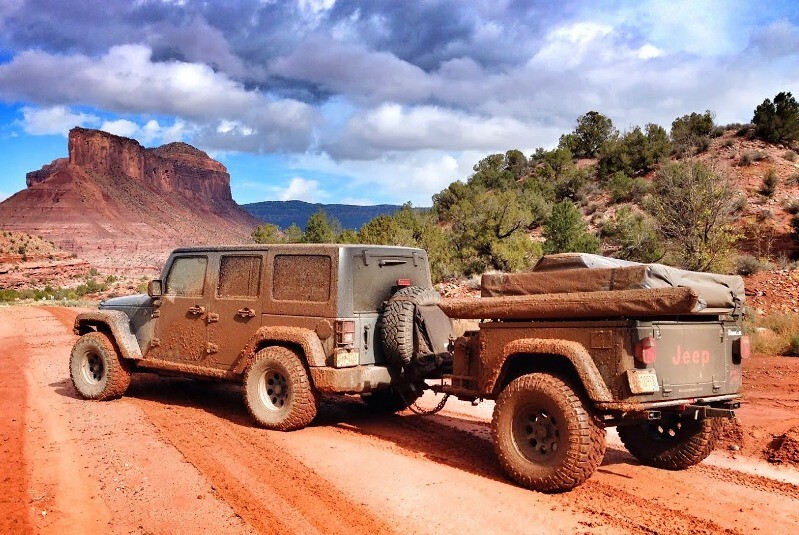 How about a Rear Bumper? I don't normally use them, but some customers like the idea.